A fun board game where you must name four things within the given categories. The above downloadable printable is best suited for high school students, elementary school students and adults at Elementary (A1), Pre-intermediate (A2), Intermediate (B1), Upper-intermediate (B2) and Advanced (C1) level. 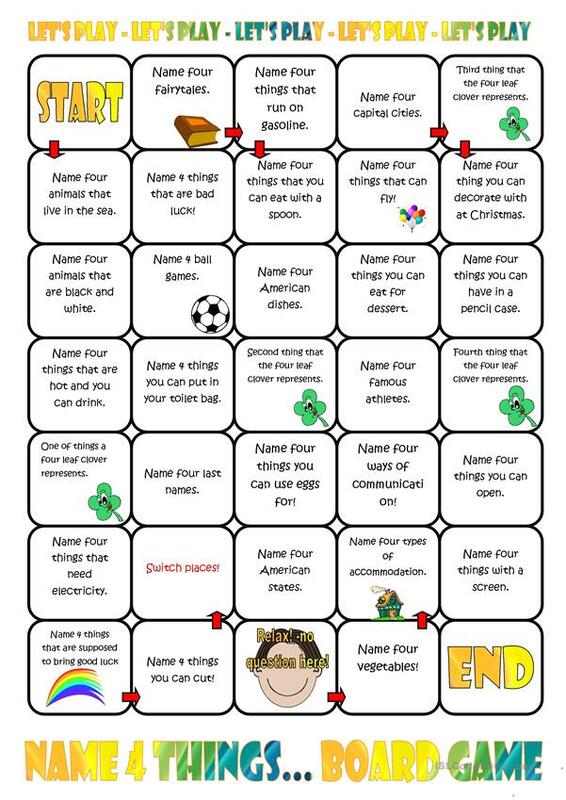 It can be used for strengthening your class' Listening, Speaking and Reading skills.